Mr. Kelsey explains how providing feedback supports student growth in his classroom. How does Mr. Kelsey make his classroom “safe” for students to make mistakes? 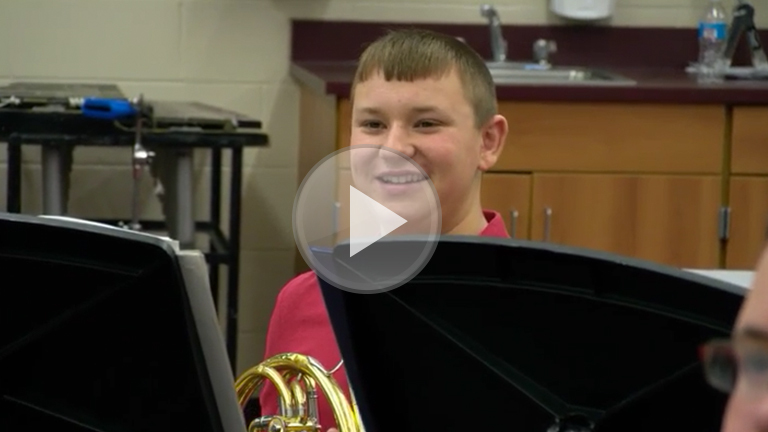 How does sharing of student work/performances publicly move the learning forward for everyone? How does Mr. Kelsey encourage his students to do their own thinking? What steps do you take to make your classroom “safe” for students to make mistakes? How does public use of student work move the learning forward in your classroom? How does the type and amount of feedback that you provide students help them understand what their next steps are in learning are? What steps will you take to ensure that student feedback is just enough to be actionable? How will you encourage students to do their own thinking?